Surprise! It’s time for another Mid-Century Menu meal! Much to my joy, and Tom’s consternation, this week’s menu contains two elements that guarantee that this will be a memorable meal. The first one is the title of the recipe. Now, in the real world, the word “surprise” usually has a pleasant connotation. Oh, not all of the time. I know this. There are good and bad surprises. But they vary. Sometimes good. Sometimes bad. This is not the case in Mid-Century Cooking. “Surprise” in the title of a recipe is bad. Always. 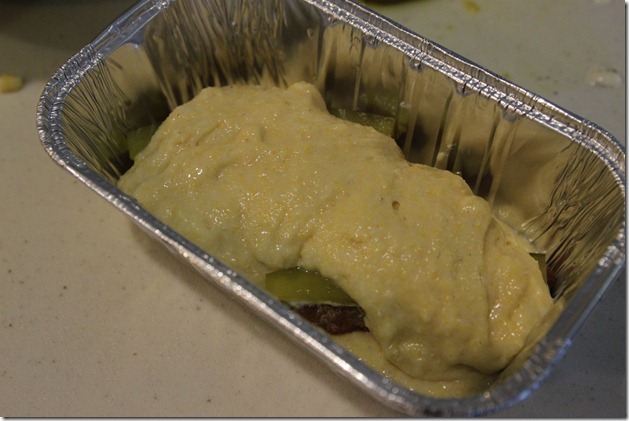 It signals that there is an ingredient lurking in that rather bland looking casserole, an unexpected and crazy ingredient. And you are almost always sorry when you find it. 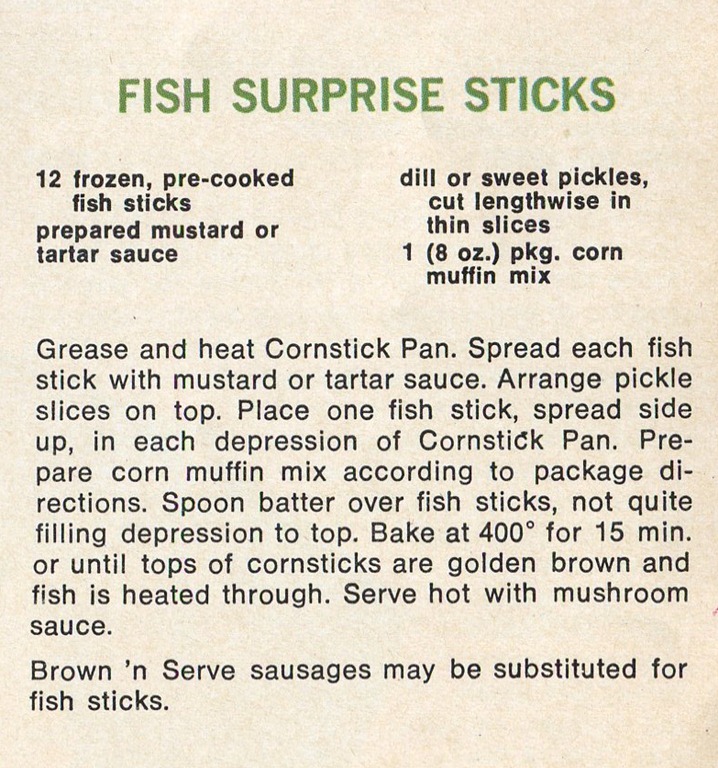 In this case, “surprise” means that we are going to be jamming unsuspecting fish sticks and dill pickles into innocent corn muffin mix, and then laughing manically because, well, I am pretty sure that is how you act when you’ve gone over the edge. As a super-bonus, and as the second element that guarantees a memorable meal, the cookbook I got this recipe from has “unusual” in the title. 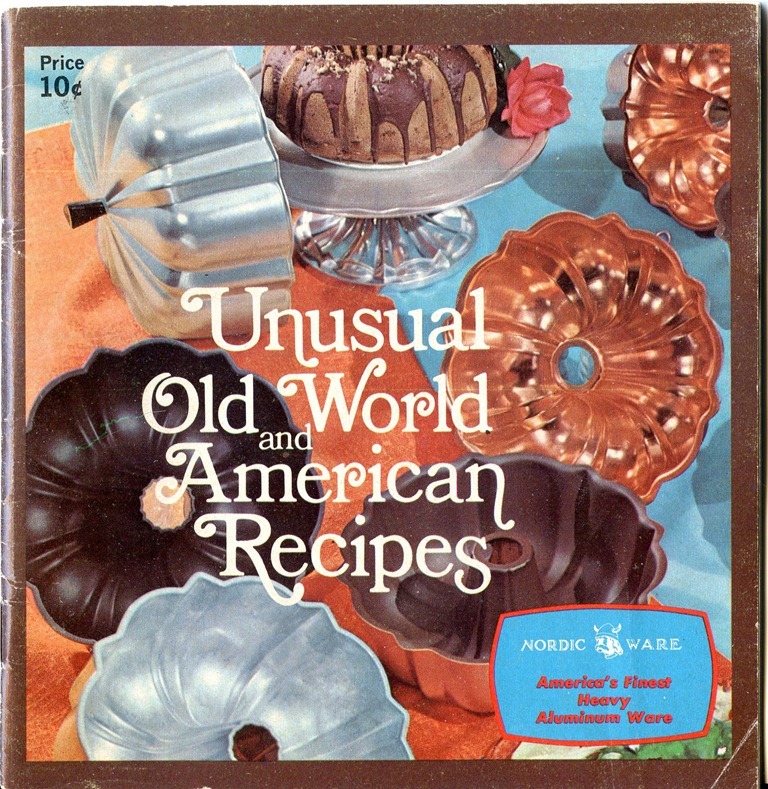 Unusual Old World and American Recipes, 1972, brought to you by the awesome people at Nordic Ware, who just weren’t able to leave good, solid corn muffins alone, god bless ‘em. That means it’s time to rock and roll. As a change of pace, and in an attempt to be a more agreeable person overall, I am only going to say good things about this recipe. Starting…..now. Good Thing #1: This recipe didn’t take long to prepare. It used pre-packaged products, so I didn’t have to slave over a double-boiler filled with white sauce that doesn’t want to thicken. Good Thing #2: I was able to cook the fish sticks ahead of time so that they wouldn’t be all soggy inside of the corn muffin mix. 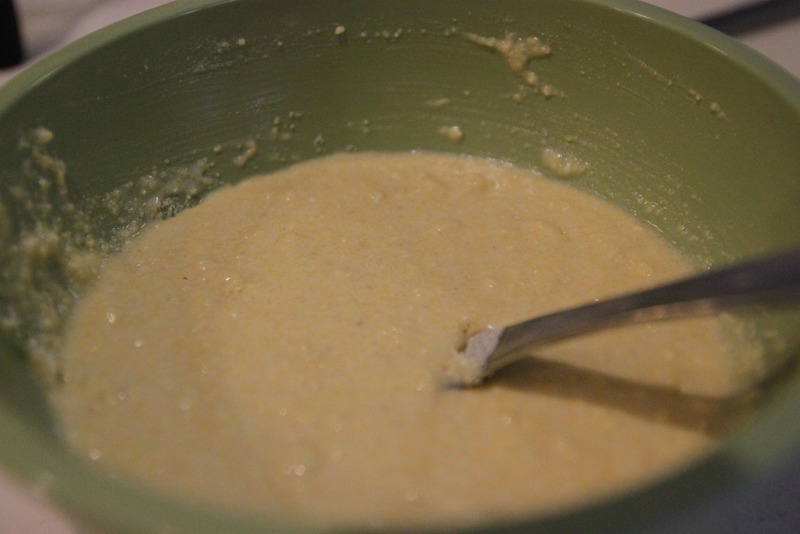 Good Thing #3: I got to use Jiffy Corn Muffin mix, which I enjoy but hardly ever make. Good Thing #4: Tarter sauce is actually gooey enough to glue a pickle to a fish stick. Good Thing #4.5: That was a sentence I never expected to be typing on this blog, and yet there it is. Good Thing #5: Mini loaf pans can fill in when you are in a pinch because you can’t find your corn stick pan. Good Thing #6: To everyone’s utter astonishment, this stupid recipe actually works. 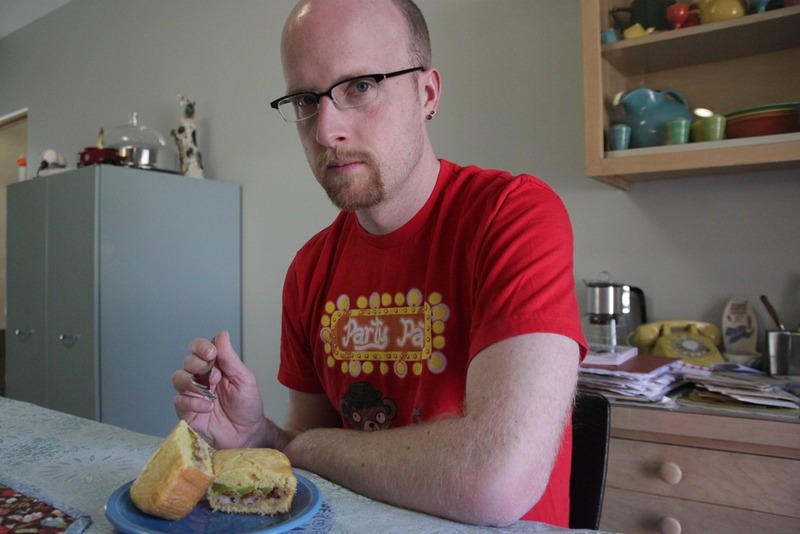 Good Thing #7: Tom looks awesome in his new glasses. 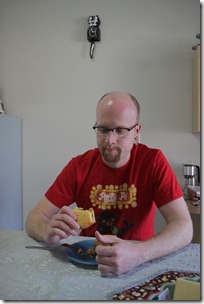 Good Thing #7.5: Tom was willing to eat these things for lunch. I took a bite, too. We chewed thoughtfully together. The Verdict: Edible. Not something delicious by any means. Would probably be enjoyed by small children, sans pickle. 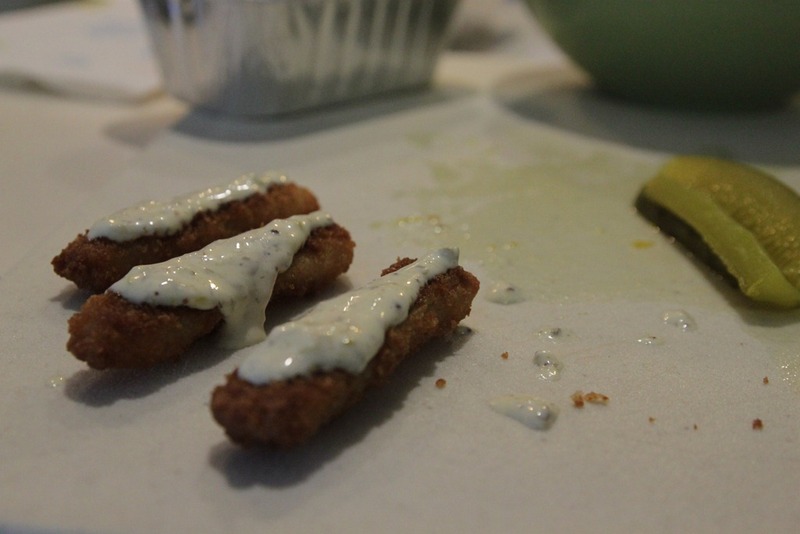 But, in the spirit of keeping things positive, the recipe totally delivered what it promised: A fish stick surprise. I love recipes with ‘surprise’ ‘deluxe’ or ‘spectacular’ in the name. Also, I have a sneaking suspicion that if you did the sausage variation of this recipe it could be bordering on tasty. And Tom does look handsome in his new specs. Yeah, Yinzerella, that’s kind of what I thought about the sausages. 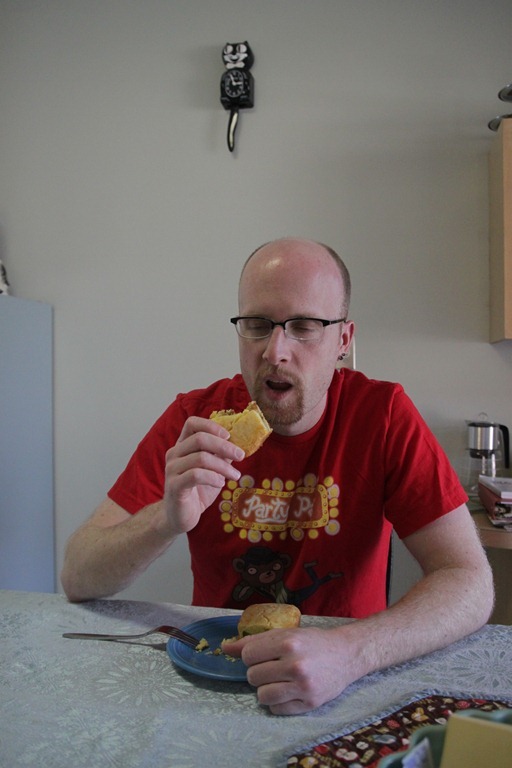 And since I already knew what that would taste like, we went with the fish sticks. Oh, and Tom will be glad to hear you like the glasses! Charlotte! 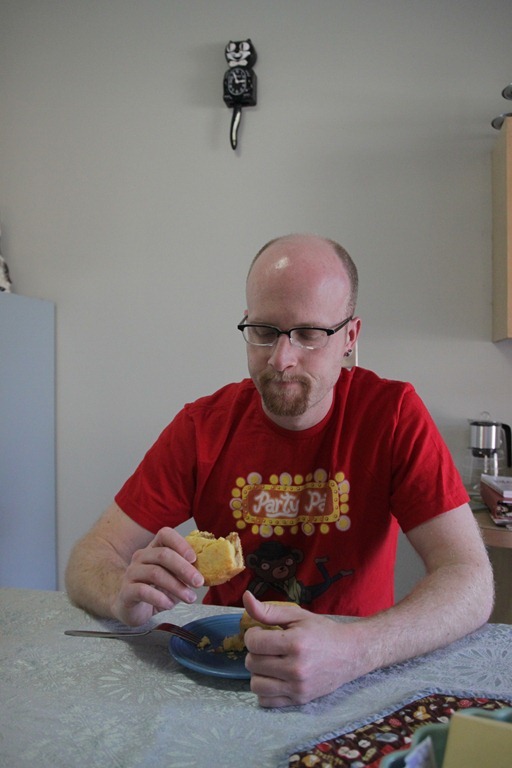 You reminded me of a question I was going to ask everyone: Does anyone out there put mustard (plain yellow mustard) on fish sticks??? Fess up! 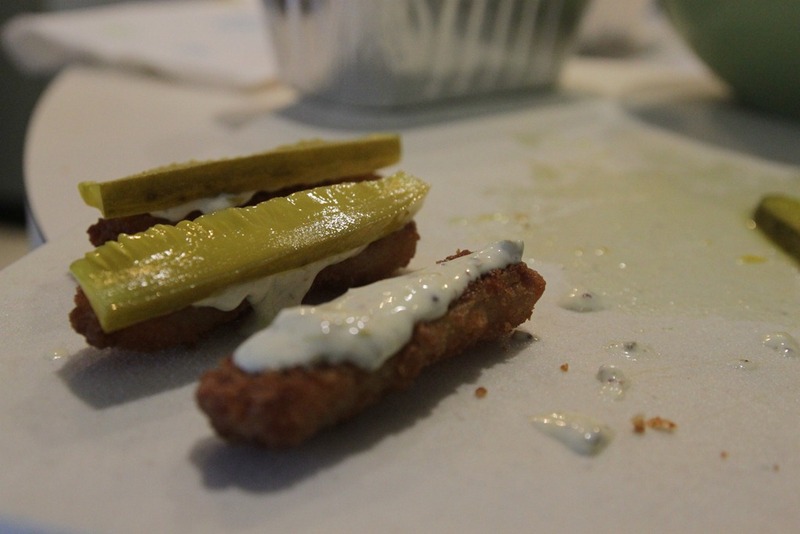 Something REALLY terrifies me about pickles paired with fish sticks, I just don’t think I can go there. eeks! 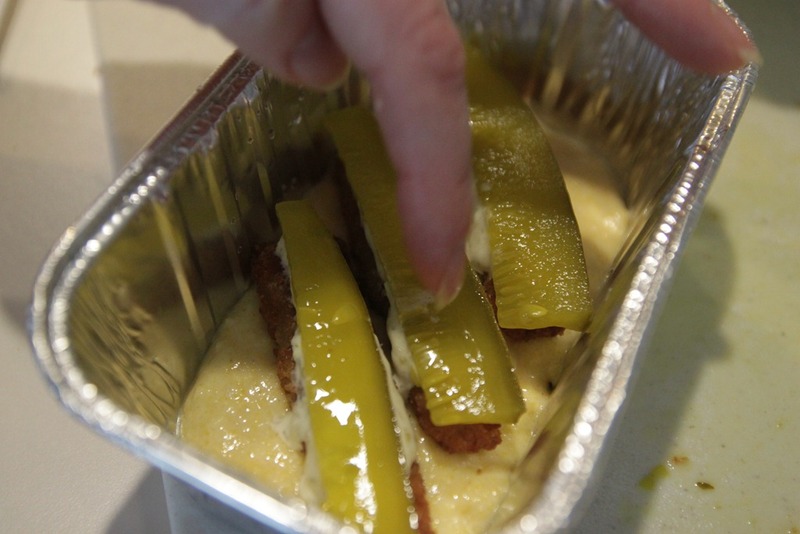 And yeah, thanks for skipping the mustard on the fish – mustard WITH pickles, barf-city girl! 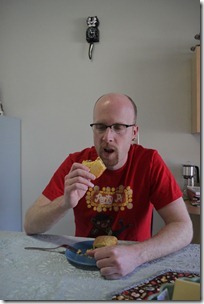 No, I have never had mustard with fish. 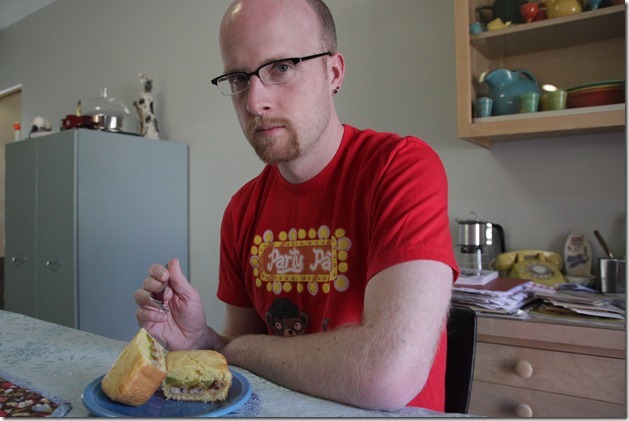 yuck…..
ps- LOVE Tom’s new glasses, super cute! I forgot to say I love the new banner too!!!! The pickle part doesn’t freak me out so much since there are pickles in tartar sauce too. 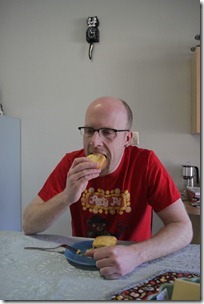 But adding a corn muffin to the mix of flavors seems whack-a-doodle! Glad you like the new glasses. 🙂 And yeah, the whole thing was so weird! Well. Putting fish sticks and pickles in corn muffins just seems so…random. Like the Registered Home Economists at Nordic Ware threw darts at a list of ingredients. Oh, and Tom does look awesome in his new glasses. That pretty much summed it all up for me. At least it was kinda neat looking? And it did end up sort of neat-looking. So not a complete waste of time. Oh my, laughing so hard just from the intro. I haven’t had a fish stick in years! As someone who normally eats spicy (german-style) mustard on battered fish, loves pickles, and actually owns a cornstick pan, this sounds AWESOME. I can not wait to try it! I know the mustard on fish thing might sound odd, but I can honestly say I inherited the taste from my mom since she got me started doing that. 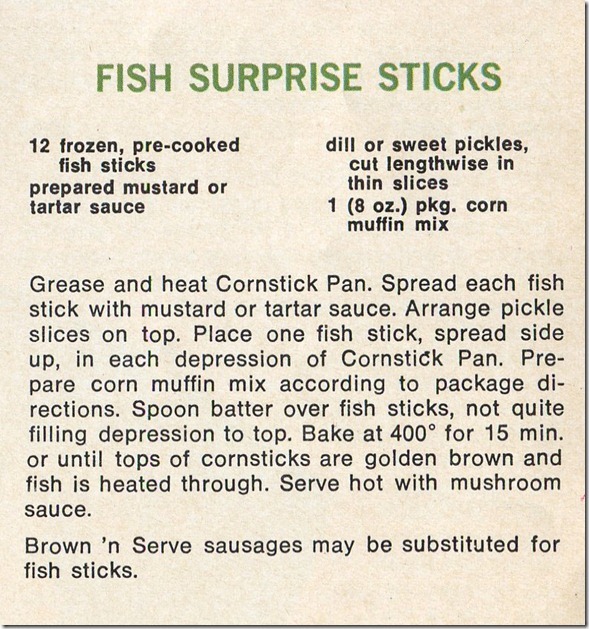 I bet using the cornstick pan would make them a little less “surprise-y” since you would have way less cornbread to the other stuff ratio. Ha ha! Yeah, the pork cake was really something, wasn’t it??? Ugh! Oh, and if you recreate this, let us know how it went or send me a pic! 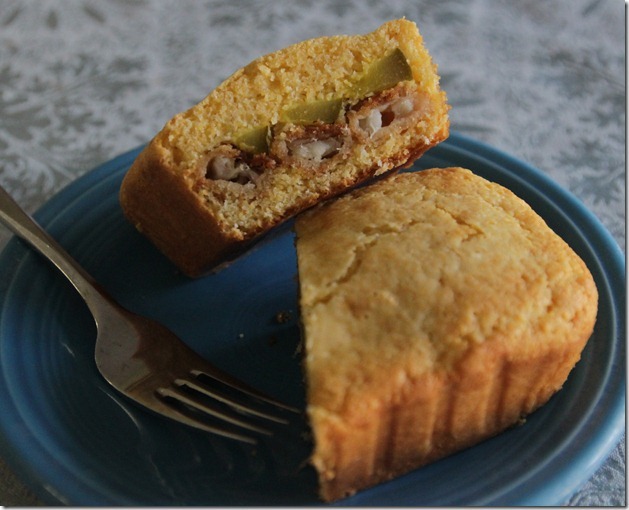 Sausage in cornbread, I can imagine (and have seen in a few vintage recipes). 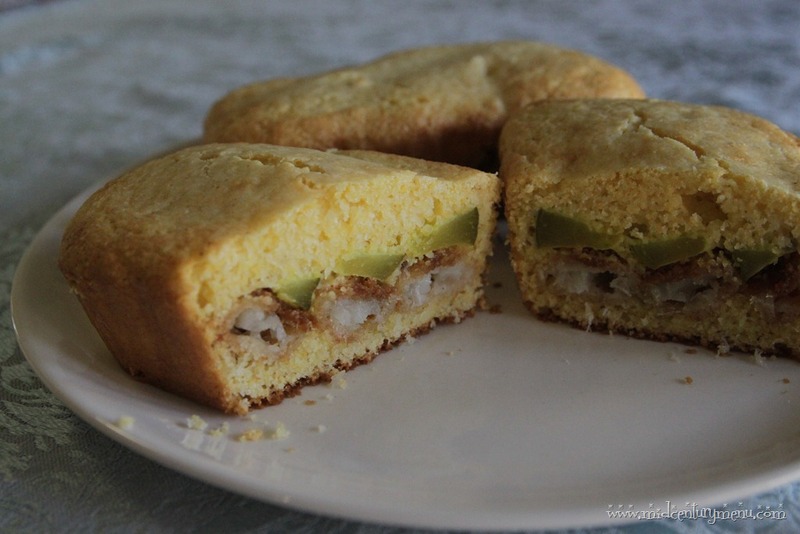 Fishsticks in cornbread? Bleargh. 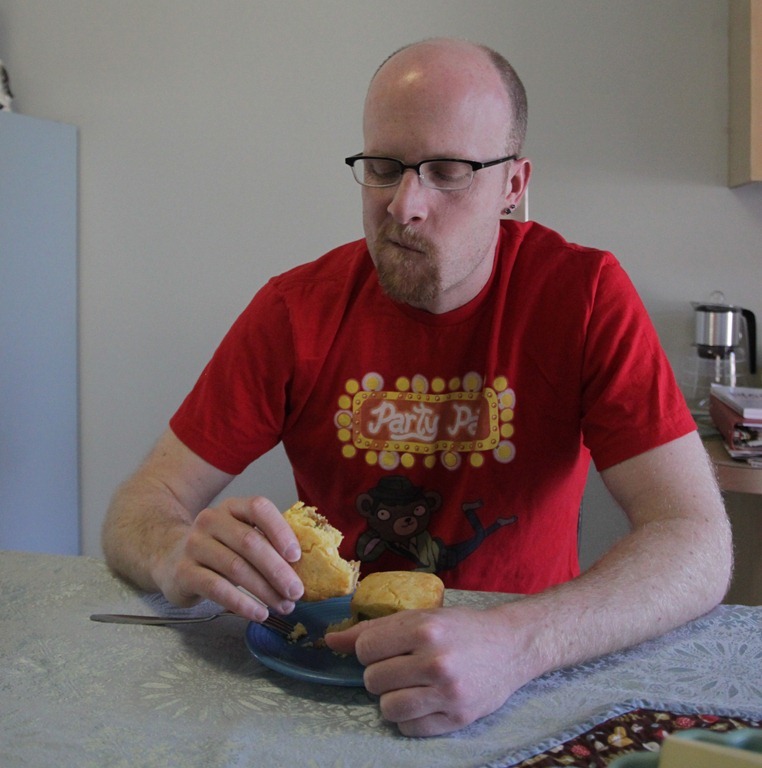 Yeah, cornbread and pickles was NOT a winning combo! This looks like something that I might enjoy, though, like you said, it might go better with a sweet bread & butter pickle. All that breading looks like it would go down better with a bit of dipping sauce as well. 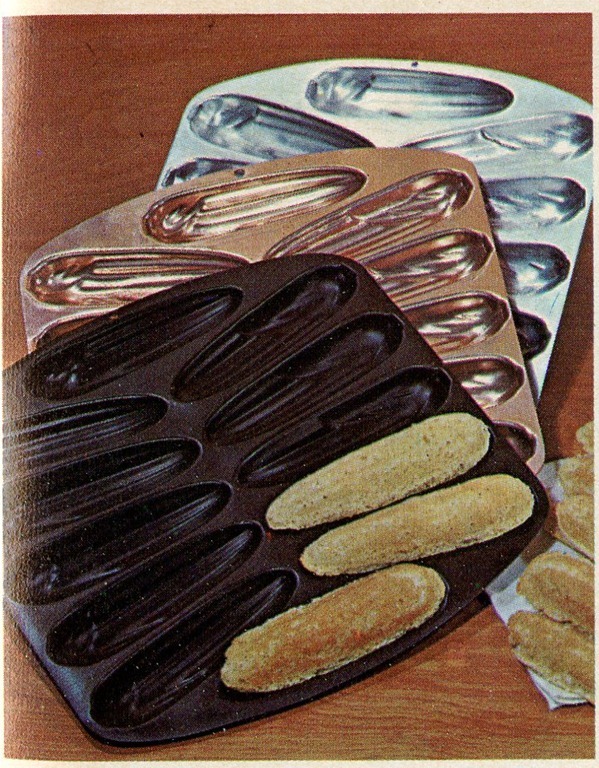 My grandma used to have one of those corn husk shaped molds. I wonder where it’s run off to. Yeah, I think bread and butter pickles would totally be the way to go this one. And I think there was some sort of dipping sauce mentioned in passing in the recipe. Um…where is the mushroom sauce? How can you have magic without the mushroom sauce? Seriously, I demand you retest with mushroom sauce. Every sentence needs to have the words “mushroom sauce” in it. Seriously, mushroom sauce. I am laughing my arse off. 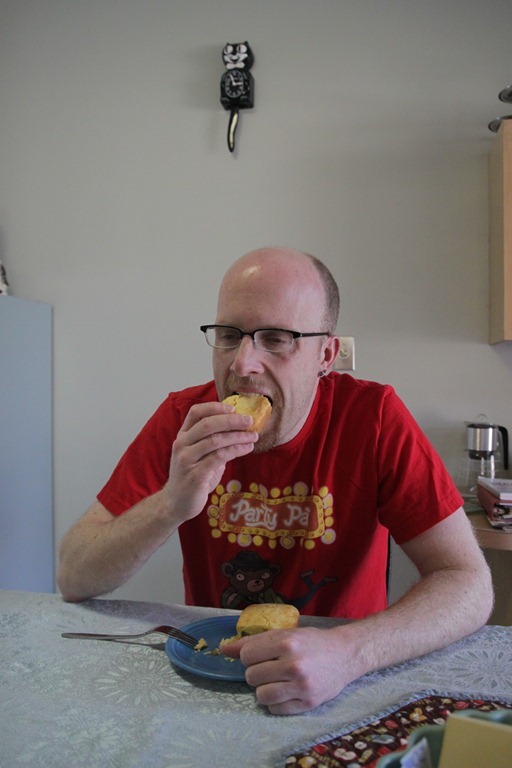 First Richard Simmons laying naked in a bed of vegetables and now this hysterical pic of your man eating that corn muffin/fish stick/pickle thing. I may have to go and change my diaper…. Buut, yes. Bread & Butter pickle slices and some American Cheese, tartar sauce on the side. Super!